Just as the Super Eagles are heading to Tanzania for a 2017 Africa Cup of Nations qualifier in a chartered aircraft, and will return in the same aircraft immediately after the match in Dar es Salaam, African champions Cote d’Ivoire have announced that their ‘Elephants’ will fly into and out of Port Harcourt aboard a chartered airplane. Report gathered from Thenff.com on Tuesday evening has it that the Elephants, who defeated Ghana’s Black Stars to lift only their second continental title in Equatorial Guinea earlier in the year, are excited about coming into Nigeria’s oil –rich city. Augustin Sidy Diallo, president of the Federation Ivoirienne de Football (FIF), confirmed on Tuesday that the Elephants’ delegation would hit the Rivers State capital on Friday morning. Sunday’s match at the Adokiye Amiesiamaka Stadium is the first time Nigeria is hosting a competitive international involving two other countries. The Elephants and Leone Stars will kick off at 4pm. It was also gathered that the Seirra Leone delegation of 33 persons, led by president of the Sierra Leone Football Association, Isha Johansen, will fly into Port Harcourt on Wednesday evening aboard an ARIK Air plane. It can be recalled that Port Harcourt hosted Nigeria’s home matches in the successful campaign for a place at the 2002 FIFA World Cup finals, and recently played host to the U-23 National Team in its successful campaign against Congo-Brazzaville for a place at the 2015 Africa U-23 Cup of Nations. Coach Michel Dussuyer will miss the services of African Player of the Year Yaya Toure, and has also omitted Cheick Tiote, Siaka Tiene and Lacina Traore. But there are still plenty of eminent ‘Elephants’ in goalkeeper Sylvain Gbohou, defenders Serge Aurier, Mamadou Bagayoko and Adama Traore, midfielders Ismael Diomande, Serey Die, Serge N’Guessan and forwards Seydou Doumbia, Gervinho, Max Gradel, Giovanni Sio and Salomon Kalou. The 2017 Africa Cup of Nations qualifying match between African champions Cote d’Ivoire and the Leone Stars of Sierra Leone will now take place at the Adokiye Amiesiamaka Stadium, Port Harcourt on Sunday, the Nigeria Football Federation has announced. By Monday, the NFF had concluded arrangements for the match to hold at the Teslim Balogun Stadium, Lagos, but then received a letter from the Sierra Leone Football Association conveying concerns raised by the Football Ivorienne de Football (FIF) about playing on artificial turf. This has necessitated a change to Port Harcourt. Nigeria will host the day 2 clash of the African Cup of Nations qualifier between the Leone Stars of Sierra Leone and Elephants of Cote D’Ivoire on Sunday 6th September, 2015. This will be the first time Nigeria will be hosting a soccer match involving two other countries, when not hosting a tournament. The delegation of Senior National Team of Sierra Leone, known as Leone Stars, will arrive in Lagos on Monday for their clash with African champions, Cote d’Ivoire. The Leone Stars according to sources will be made up of 32 persons and to be led by President of the Sierra Leone Football Association, Isha Johansen. The contingent will fly into Lagos aboard an Air Ivoire flight and stay at the Eko Hotel and Suites, Victoria Island. Sunday’s clash between the Leone Stars and the Elephants at the 23,000 –capacity Teslim Balogun Stadium, Lagos will be the first time that Nigeria will host a competitive football game involving two other countries in her territory. The Nigeria Football Federation began the necessary moves to get Government approval for the hosting after a request by the Sierra Leone Football Association, which was supported by CAF. The ban on Sierra Leone from hosting international football matches following the outbreak of the ebola virus pandemic in 2014 is yet to be lifted, compelling the Leone Stars to play ‘home’ matches away from home. The Elephants of Cote d’Ivoire, champions of Africa, are expected in Lagos on Wednesday. 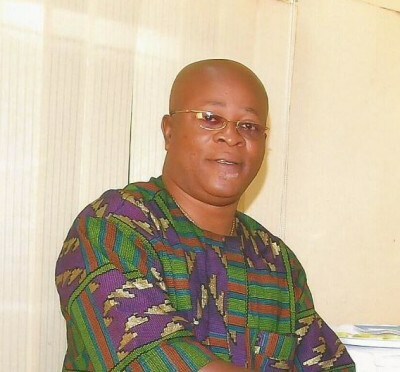 Chairman of the NFF Marketing, Sponsorship and Television Advisory Committee, High Chief Emeka Inyama, who is playing a key role in the organization of the Leone Stars/Elephants match, said on Sunday that all matters have been working out as planned. “There are no problems at all and we do not expect any. We are on ground in Lagos to organize a hitch –free game and we have taken into consideration even the minutest details related to the organization,” Inyama assured.